In 1963, Henry Ford (the second) received word that Ferrari was interested in selling parts to the Ford company. As you do, Ford spent a squillion on checking the viability of Ferrari and on legalities, only to have Ferrari cut short the discussions thanks to a dispute over racing rights. Enzo wanted to stay as the sole operator of the Ferrari motorsport division however he’d been told that ferrari couldn’t race at the Indianapolis 500 if the business transaction went ahead, as Ford raced cars at the event using, naturally, Ford engines and didn’t want the Ferrari competition. Understandably, Enzo pulled the pin on the deal, leaving Henry Ford somewhat miffed. In response to Ferrari’s move, Ford directed his racing division to find a car that would flatten Ferrari on the world stage. After looking at proposals from three companies, including Lotus (in which Colin Chapman insisted any car be called the Lotus-Ford, a polite way of telling Ford he wan’t interested), an agreement with Lola was signed and thus began the genesis of the GT40. The name itself comes from a simple mix; GT for grand touring and 40, for the height in inches. Prototype and testing cars were called, simply, GT, the GT40 name came when the production models arrived. Lola had already used a Ford engine, a V8, in the mid engined Mark 6, which had raced at Le Mans. Eric Broadley, Lola Cars’ chief designer and owner, agreed to help Ford out with an agreement that didn’t directly involve the company. Two Lola Mk 6 chassis were sold to Ford and manpower was found in the shape of John Wyer, former Aston Martin racing team manager and Roy Lunn, the designer of the Mark 1 Mustang concept car. Work commenced on the car at the Lola factory in Bromley, before moving to Slough, near the Heathrow airport. 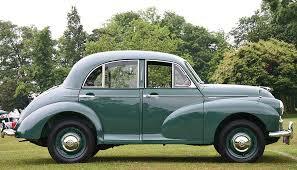 The first car, known as the GT 101, had a 4.2L V8 engine and a transaxle gearbox. It was unveiled in the UK on 1 April, 1965 and could be had for the princely sum of 5,200 pounds. The GT40 first raced at Germany’s Nurburgring in May of 1964, running second for some time before withdrawing thanks to suspension failure. Three weeks later three entries ran at Le Mans, with one car leading until its first pitsop, however all three eventually retired. Due to the lack of results, the cars were given to noted American engineer, Carroll Shelby. Shelby entered a car for the Daytona 2000 in February of 1965, with immediate results, scoring the win. The Mk 1 was raced at Le Mans in ’68 and ’69, winning both events plus at Sebring in 1969. 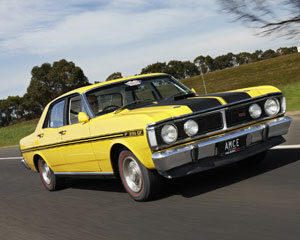 The Mk 1 was powered, in production trim, by 4.7L V8s, the same as used in the Mustang. The Mark 2 GT40 was propelled by a 7.0L V8, as used in Ford’s Galaxie. 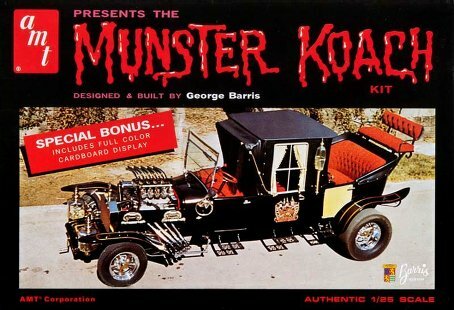 Although looking like the Mk, there were differences enough under the skin in order to house both the bigger engine and a different gearbox, being a four speed from a company called Kar-Kraft. It was the Mk 2 that won Le Mans for four years, from 1966 through to ’69. The Mk3 was a very limited run, with just seven examples built and for a road only usage. It had quad headlights, a fatter rear for luggage and a detuned 4.7L V8, with 250kW or 335 horsepower. In 1966 racing regulations were changed to what was called Appendix J. A development model, called the J-Car was built with bonded aluminuim panels. This came under the auspices of John Wyer, after he’d bought the previous construction business, Ford Advanced Vehicles, and had the design and manufacture more or less in house with Ford. The tub was superb in its weight reduction, tipping the scales at just 39kg and the whole, finished, car weighed 1210 kilos. The Mk 4 GT40 was born from this work, with the 7.0L engine being used plus a specific chassis and bodywork combination. Due to a fatal crash with one of the development and racing drivers, steel tube roll cages were installed in the racing cars, negating any weight savings from the aluminuim tub. 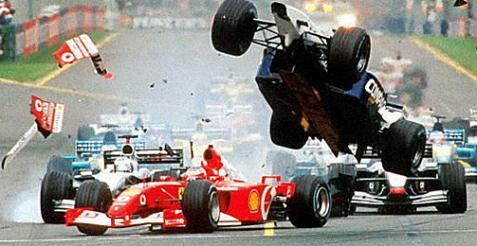 This same construction would be credited with saving the life of Mario Andretti, at the 1967 Le Mans 24 Hour race. The GT40 has spawned copies and replicas, plus an offical Ford version that went into production in 2004, although it was wider and taller than the original. It is known as the Ford GT after a falling out between Ford and a small company that had purchased the rights from a continuation maker based in Britain. The orginal GT40s command high prices in the auction market and will always be remembered for the low height and ferocious 7.0L engine. numbers do this) or senses things coming in from the side or… They’re thinking up new things all the time. And good on the designers for doing so and trying to make cars safer to drive. But there’s a downside to all this: something I’ll have to call Airbag Syndrome. 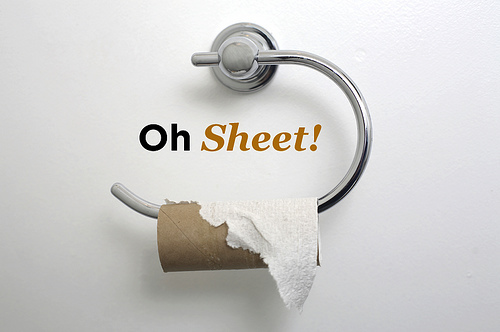 Other things – give us your examples in the comments. Airbag Syndrome can be defined as a misunderstanding of what safety features, active and passive, are for. They are not supposed to replace the driver’s noggin but to enhance it. Even if we own the safest of safest cars with the highest possible ANCAP ratings, we shouldn’t let this lull us into a false sense of invulnerability. 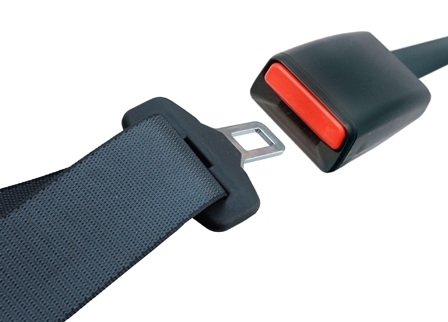 No matter how good a safety system is, we shouldn’t take them for granted or let the car do our thinking for us. After all, as anyone who’s owned a car for any length of time has found out, things do go wrong and malfunction at odd moments. No way am I knocking safety features in cars. But they should never replace basic common sense or good driving habits. Big Boys and Their Small Toys. Growing up in the south eastern outskirts of Perth during the 1970s coincided, for me, with a huge interest in modelling. No, I don’t mean the Karen Pini kind of modelling (Google her but be nice), I mean plastic hobby kit modelling. Ships, space craft, planes, tanks, people, cars, you name it and it was available. My own room was filled with samples from the military, space and cars. Nowadays the modelling scene, although not underground, is nowhere near as popular as it used to be. You could go to a K-Mart and buy kits, paint, brushes; hobby shops were, metaphorically, on every corner but now they’re a lot further apart. When I say not as popular, I mean that the awareness of it was higher across the population base. In Sydney and, indeed, around Australia and around the world, the awareness is high but is more focused to be within groups such as the IPMS, the International Plastic Modelling Society, as an example. There’s magazines such as Fine Scale Modeller, from the United States or ModelArt Australia. Within the magazines is a surprising amount of information about the various manufacturers, the products, the tips to improve or help anyone from a novice through to an experienced builder. 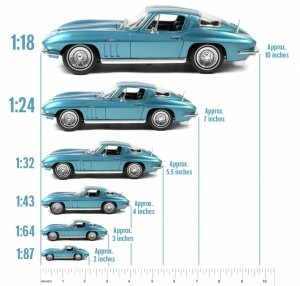 Like anything in miniature, car models come in different scales. Those that collect the die-cast versions will immediately be familiar with this. It’s a mathematical ratio setup, one unit of measure on the model equals 12 or 18 or 24 or 43 on the real thing. Detail can vary from maker to maker and from scale to scale. Some modellers go across the board; I tend to lean more towards the military and sci-fi, others have the automotive field as their area of expertise. To say there’s a variety of models in the scales available is understating it just a tad. Most modellers tend to look at cars in a 1/24 scale. The detail that can be found in such a size is startling; from intricate door handles to engine parts, the manufacturers. Other scales can be 1/18, 1/12 or, going the other way, as small as 1/32 or 1/43. Naturally, that makes the detail harder to see (and harder to mould!) 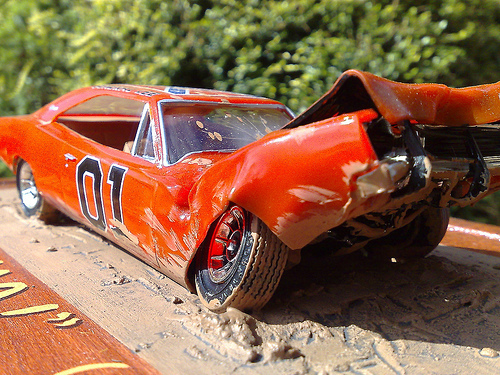 however skilled modellers use a variety of techniques to make their model car look as realistic as possible. Some modellers even take a kit that would normally be built into a “New” car and make it look like a junkyard dog. Manufacturers of kits range from a reasonable quality from the States, with a brand called Lindberg offering basic construction kits, to AMT, Monogram and a name from the past, Aurora. Of more recent times, a brand called Tamiya, from Japan, has come to the fore, offering high quality, highly detailed kits, including parts that are “photo etched”. These parts are copper or, more commonly, brass and can provide even finer detail than plastic. Some people will instantly recognise the name Airfix. Once recognised as being the most common brand, Airfix is undergoing a renaissance with its new owner, Hornby (train modellers will know THAT name) retooling their moulds to provide better detailing. 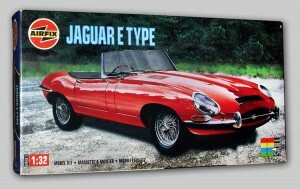 Airfix offer all in one kits, complete with parts, glue, brushes and paints. Another brand that’s been around for some time is Revell and they, too, offer a huge range. Not unsurprisingly, if it’s been built in real life, you’re got a pretty good chance of finding a kit. There’s groups that are worldwide and split into local chapters, the IPMS has a New South Wales based chapter with a thriving social media presence. 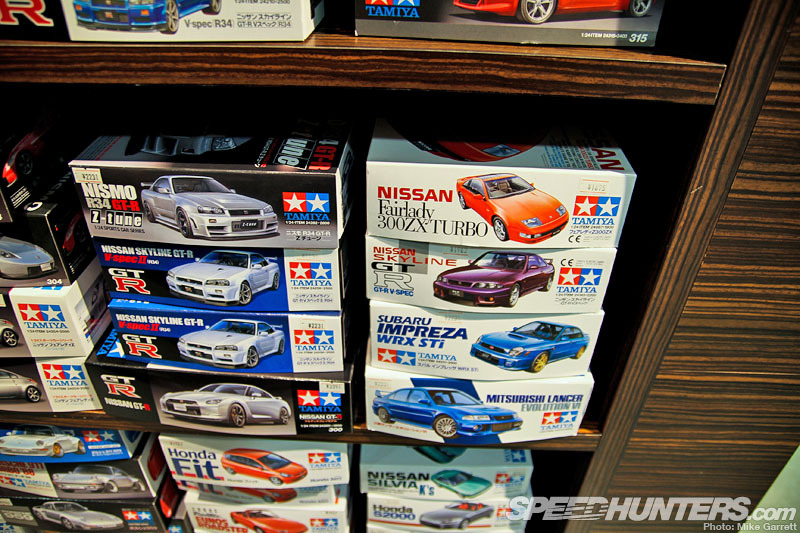 There’s also groups that are a kind of swap meet, allow members to buy, sell or swap kits of all shapes and sizes, such as The Aussie Model Exchange (look ’em up, along with the others). From the common to the exotic, to the modified to the concept, modelling provides the ideal opportunity to have a large garage of small cars. What’s more, unlike die cast cars, this is a garage you’ve built yourself, from start to finish, allowing you to put your own personal stamp on your new drive. People movers once ruled the roost and it was thanks to Toyota with the Tarago and LiteAce. Of more recent times, SUVs have grabbed the crown, to the detriment of driving standards. Proton offers up a slightly different alternative to A Wheel Thing with its compact sized people mover, the Exora. Again it’s split into two trim levels, the GX and GXR. It’s powered by the same engine (103kW/205Nm) as found in the Suprima S and Preve’ (amortising costs) and is lobbed into a car weighing just under 1500 kg. The engine is again bolted to a CVT with six programmed manual shift points. There’s an immediately noticeable lack of the noise found in the Suprima’s engine bay, replaced by a low volume, high pitched, almost turbine like buzz. It’s perceptible but not nearly as intrusive. The Exora’s external styling is not unattractive but it is unusual. Head on, it has a semblance to a Honda Jazz, in profile a Jazz blending into a compressed Tarago, looking very much like the late and unlamented Suzuki Liana hatch. From the rear, it’s a highish looking roofline that belies the overall smaller size of the vehicle. There’s a tall pair of LED tail lights that frame the rear lift door, allowing access to the third row seats as well. The nose has driving lights pushed to the bottom corners and framed by two vertical slats, with the sloping nose providing both aerodynamic looks and a measure of pedestrian safety. The rear hatch opens up quite high, enough for most people to stand underneath comfortably. The inside of the Exora is stylish and smart. There’s a roof mounted DVD player, roof mounted fan speed and air vents for middle and rear seats, plus the ability to fold the seats flat to allow for a bigger loading area. The seats themselves are cloth in the GX, black and red leather trimmed in the GXR, are comfortable, if lacking a measure of support and fitted for the Isofix child seats in the rear, whenever the legislation is eventually passed. Floor mats are unusual in being that shredded rubber, almost scourer style. The flexibility of the Exora is certainly family attractive; what isn’t attractive is the use of the utterly dated red dot matrix display Clarion head unit for the audio system. A Wheel Thing is all for cost savings but this detracts from the overall level of quality and presentation otherwise found in the Exora. Naturally, there’s Bluetooth and external media player connectivity, safety in the form of pretensioning seatbelts, airbags aplenty, stability control and more, providing a four star safety package for ANCAP. There is also a reverse camera fitted, with the image popping up in the rear vision mirror. On pressing the unlock button on the fob, the Exora emits two chirps, not unlike a reverse beep from a truck. It’s a left hand mounted indicator stalk and the click as you move up or down is….well, it doesn’t sound like there’s premium plastic inside the shroud nor is it fitted for high beam flash, it’s on or off. Aircon controls are of the old dial style; sadly, so is the heating function. Wound up to full heat on a cold winter’s day it barely felt as if it was producing any heat at all. Another oddity was the central locking, activating at speeds anywhere from 20 to 80 km/h. On the road the Exora immediately exhibits one trait: chronic understeer. Riding on comparatively narrow 205/55/16 tyres is one thing (and their grip level is ok) however the half turn of a steering wheel to have one third of the front end go where you think it should, especially with a vehicle designed to be a people mover, is another. In the hands of an experienced and trained driver, it wasn’t the most comfortable handler and in certain turns needed a lower than expected approach speed and rejudged approach angle. On the freeway it was also prone to wandering, requiring constant attention and correction plus there is a moderate amount of body roll. The front suspension is a touch soft, in that it easily bottomed out, at slow speed, by simply going over a kerb. Ride quality, however, is decent, with plenty of compliance and absorption of most minor bumps. Under acceleration, the Exora is seat of the pants quick, thanks to the CVT and constant linear delivery of the turbo’s torque, however a glimpse of the speedo says otherwise. It’s the conundrum that seems to be be part of the Exora, it’s a politician’s promise, saying much on one hand and not delivering a great deal on the other. Also, unlike the Suprima S, there’s no paddle shifts; not a deal breaker but with this kind of transmission, it should be offered with that option. It also means that the advertised “six step” CVT is effectively restricted to whatever the CVT and engine combine to offer. What the Exora does well is offer a niche alternative; not everyone wants or needs a large people mover or a SUV, with the bulk and running costs associated with having such a vehicle. With a thrifty, frugal 1.6L turbo (Proton quote a combined 8.3L/100 from a 55L tank)pulling a loaded up with shopping and average family nicely, a decent turning circle, useable space and the DVD in the roof, it’s certainly family friendly. The steering and handling need tightening up though, from a driver’s point of view. Being currently rated at four stars for safety rather than five will put some people off, however the canny will know that four is plenty enough in real terms. There’s five year free servicing, five year road side assistance AND five years warranty tossed in for nix. Priced in the mid $20K range for the GX, closer to $28K for the GXR, it has price on its side however some will happily spend a few extra thousand for a SUV. They may be missing out. For information head to www.proton.com.au and for pricing options, chat to the good people at www.privatefleet.com.au. Car Wash Machines: A Good Thing Or Not? Going through the car wash used to be something of a treat when I was a child, especially as we lived in a small town and a mechanical car wash at a garage was something that only happened when we went into a larger town. It was just a little bit scary as well as fun – were those big mechanical arms going to go too far and crush the car? Would those rubbery things going flubbida-flubbida-flubbida against the window going to break the glass? Would the machine let us out again at the end? But out we would come in the family Mitsubishi station wagon, all clean and gleaming again, without any of the dust from all the back roads, just like magic. The added bonus was that I wasn’t going to be sent out to the driveway with a brush and a bucket of hot soapy water. Today, I’m back there with the bucket of water (when I can’t persuade my teenagers to do the job), for two reasons, mostly. Firstly, if I’m going to spend a couple of bucks getting my car cleaned, I’d rather pay the kids to do it instead of the garage, as this will stop them (the kids, that is) pestering me for extra cash. Secondly, I have the sort of car that doesn’t like car washes: a Nissan Navara ute with an open deck at the back. Some types of car wash machine just don’t like these. There’s no denying that a car wash machine is quick and convenient, and if you’ve just had a flock of seagulls crap on your car, it can be the quickest way of getting the muck off before it etches itself into the paint. There is a strong school of thought that says that you shouldn’t take your car through a car wash machine at all, as they can ruin the finish. Those brushes and whiplike rubber things that went flubbida-flubbida-flubbida on the windscreen and the sides can scratch the paint and damage the finish. They have come up with new brushless washes these days that aren’t so harsh. However, the detergents used with a brushless wash are harsh chemically and can also do a bit of damage to your paintwork – to say nothing of what they do to the environment once they trickle off your car and into the wastewater system. And there’s always the risk of mirrors, antennae and body kit being knocked to Kingdom Come by the machines. There are still others who avoid car wash machines not because of the cost, nor because of what it might do to their car nor because of the environmental downsides of all that water and all that strong detergent. These are people with a touch of claustrophobia for whom going through a car wash is absolute terror. In closing, for those of you who were wondering, the good folk down at the garage with the car wash machine have to calibrate it periodically to make sure that the water jets are pointing in the right direction and can wash things properly all the way down. They do this by running a guinea pig car through, preferably a white one with lots of dirt on it, so they can see exactly where the dirt is and isn’t getting washed. I found this out because my brother has a lowered-suspension white Subaru that his local garage uses as the guinea pig, seeing as he gets his car grubby frequently and he starts out early in the morning when they want to calibrate the machine. So he gets his washed for free, with the possibility that it won’t get done right. Lucky for him! Take a dash of Impreza hatchback, add a splash of Honda and toss in Lotus fettled underpinnings and there’s the Proton Suprima S. A Wheel Thing has been granted access to three Proton cars, kicking off with the aforementioned Suprima S, followed by the people mover styled Exora and wrapping up with the Preve’ sedan. The Suprima S is a two model range, the GX and GXR with a single engine and transmission option. The donk is a 1.6L, four cylinder, turbo petrol kit, butting up against a CVT with a preprogrammed, seven ratio manual shift operated by the gearshift and (in the GXR) paddle shifts. There’s 103kW on tap at 5000rpm and a linear delivery of torque, 205Nm from 2000 to 4000 revs. It’s not a rapid mover, with Proton quoting a tick under ten seconds to hit 100 kmh. It feels a bit quicker than that and the CVT certainly aids in a constant feel of “push in the back”, with a seamless, ongoing delivery that belies what the speedo says. The engine itself is smooth, quiet however there’s a constant and irritating moan from somewhere directly in front of the passenger seat. It’s noticeable and intrusive, from ignition on to off and detracts from the driving experience. Economy wasn’t as good as expected; the Suprima has a smallish 50 litre tank on board and was drained at around 9 litres per hundred. The Suprima rolls on 16 or 17 inch alloys, depending on spec; the test car provided was the GXR and had European Continental rubber, 215/45/17s and provide superb grip. However, on coarse chip roads there’s too much road noise, to the point conversation is hard inside the cabin. The low sidewall height also exacerbates the taut suspension; as good as it is, by ironing out the ripples and undulations, it sharpens the edge of a bump that a softer or higher sidewall would absorb. As a driver that prefers a sporting oriented suspension, I think the overall combination is too tight which would be more of a deal breaker for the average steerer. When thrown, hard, into turns, the Suprima hangs on nicely, there’s minimal understeer into turns, with the suspension holding the chassis flat. But over the reflective cat’s eyes or ripples designed to alert drivers they’ve reached the road’s edge, the reaction is more instant, harsh and intrusive. Given the GX sits on slightly narrower 205s, but with 55 profile on 16 inch rims, I’d suggest that would be the slightly more accommodating ride for bumps. On the freeway, the Suprima GXR takes imperfections such as dips in its stride, essentially flattening out the tarmac and the ride, on a smoother surface, is comfortable and, for a sporty driver, enjoyable. The Suprima S has a design split personality. The exterior is clean, sleek, with the profile resembling the aforementioned Impreza, the front somewhat Honda-ish and the rear has a touch of Mazda. It’s a mostly harmonious conglomerate and easy enough on the eyes. LED running lights, auto folding mirrors, reverse camera, front and rear parking sensors and LED powered tail lights offer a nice bit of external tech. The inside, however, is the Achilles heel of the Suprima. Hard and sharp edged plastics, colour schemes for the dash plastics and display and a layout that were out of date five years ago, a gear lever that feels cheap butting up against modern tech in the form of an Android operating system based touch screen for radio/navigation. It’s an odd and jarring design. Ergonomically, there’s a couple of things that don’t work, such as placing the hatch release in the driver’s door pocket and a need to put the key fob into a slot, click it in then press a Start button, that’s overdoing it for the sake of looking good. The seats are covered in machine made leather, they’re well padded, supportive and provide enough lateral body holding through turns but the driver’s position feels high; looking through the front window leaves the eye searching for an end point, a measure of where the nose is but can only see the window line itself. Interior room is fine for two adults and two children, however the dimensions wouldn’t comfortably allow a third person for the back seat. 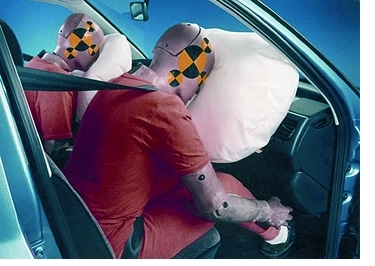 Safety is covered by airbags all round including curtain ‘bags plus the usual suite of driver aids. and for pricing contact your local Proton dealer or speak to Private Fleet. Some time ago, my fellow blogger Lewis wrote about full-time and part-time drivers and the differences between them. Now, I’ve already responded to this post once, but a second bit of comment is called for. Not all full-time drivers are the same. They can be split into “petrolheads” and “automotive enthusiasts”. “Petrolheads” are the full-time drivers we all love to hate. In their mildest version, they are all about power and performance – they want something that goes fast and hard. They hate to be overtaken. They get passionate about whether the car sports a blue oval or a red lion. They like to modify their exhausts so the entire neighbourhood can hear just how good their engine is. They may even, like our next-door neighbours once did with their new Ford Ranger, decide to demonstrate burnouts in the mud in the small hours of the morning (said neighbour also demonstrated brand new chainsaw at 3:00 a.m. on that particular night). There are several subspecies of petrolhead. Some are Fulltimeus petrolheadus redneckii. These ones believe that size counts – size of engine, size of vehicle, etc. They don’t mind their cars a bit rough around the edges at times. Think muscle cars. Think flame decals and go-faster racing stripes. Think Dukes of Hazzard horns. Got the picture? The other subspecies of petrolhead is Fulltimeus petrolheadus boyracerae. These ones are all about sleek looks and speed. They are the ones that do drag races on the public roads and pour oil on the tarmac in the middle of the intersections. 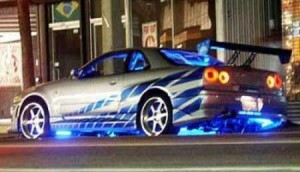 Think booming stereos and very serious body kit, especially massive spoilers. Petrolheads value their cars for what they can do, for the most part. The car is a means to an end, and they often have half an eye out for a new one that is bigger, better, noisier, sleeker, lower, etc. If they tinker with cars (something more likely in the F. petrolheadus redneckii subspecies) it’s to throw in some performance-enhancing modification or customisation. Or a new sound system that’s likely to register on nearby seismographs. Then you have the automotive enthusiasts. These are the ones who get emotionally attached to their cars- usually one particular vehicle that they’ve had for diddly-umpteen years. They can also get passionate about a particular marque but, unlike their petrolhead siblings, tend to hunt out older classic versions of their favourites. They give their cars nicknames but wouldn’t dream about getting this name spraypainted across the bonnet. Nor would they violate the integrity of a classic with some vulgar modification such as a big bore exhaust or a bonnet-blower (don’t even talk about spoilers). A personalised plate is probably about as far as it goes. When they drive their precious vehicle, which is usually saved for weekends or holidays, they are quite content to potter along at a smooth, sedate pace. Cross-breeds between petrolheads and automotive enthusiasts do exist. Females of both species have been spotted from time to time. Two things are inevitable in life, they say: death and taxes. Taxes come annually and don’t usually mean a ride in a special sort of vehicle (unless you’ve been dodging taxes but that’s another story). But when the ultimate inevitable comes for you, like it came for my father-in-law recently, you will take your last trip inside a hearse. I used to think that a hearse was a specially built type of vehicle, something along the lines of a London taxi or an ambulance. This is not the case – and it isn’t the case for an ambulance, either, as quite a few around the world are modified trade vans along the lines of a Ford Transit. . Hearses are also modified regular vehicles. Not too much modification is required, either. You just have to choose your car right. So what are the requirements for a hearse? 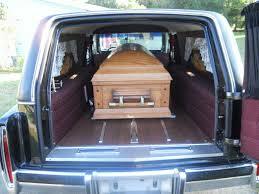 First of all, you’re going to need a five-door job, as the coffin goes in and out of the tailgate. Obviously, a five-door hatchback isn’t going to do the job, as it isn’t long enough in the back. Oddly enough, MPV vehicles don’t seem to be used as hearses, at least as far as I have seen, although this may change, given the carrying capacity of these vehicles and the increase in crossover vehicles that combine elegant styling (a must for a hearse) with a long rear load space. According to one undertaker I spoke to about preferred vehicles, Ford Falcon and Holden Commodore station wagons are pretty popular, and just about any big station wagon would do, as long as the rear seats fold completely flat. A quick flick around a used hearse sale site (you really can find anything online), reveals that the Saab 9-5 , Mercedes Benz E Class and even the odd Daimler gets used. Next come the styling considerations. Obviously, something in bright zippy red isn’t going to go down too well. Black seems to be the most popular choice, although dark greys, deep green and navy blue would also work, although I haven’t seen a hearse in these colours yet. A touch of chrome isn’t out of place here and there. Big rear windows are also on the shopping list for a lot of undertakers, or they get added as a modification. Power and performance aren’t high on the list of considerations for a hearse, although a canny undertaker would probably want something with decent fuel economy. Hearses don’t have to go fast, seeing as funeral processions to the church and the graveside tend to be solemn, dignified drives. Or should be – at my father-in-law’s funeral, we had quite a way to go along rural roads to the grave site and the hearse driver didn’t half plant his boot and nearly lost some of the other drivers in the procession. Good suspension and handling for smoothing out bumps and corners without sending wreaths slithering and bouncing all around the place are a bonus. Then come the modifications. The most important modification is a little roller device mounted in what was the back of the rear seat so the coffin slides in and out easily. Another common modification in hearses is a “wreath rail”, designed to rest floral emblems on so they can be seen clearly from outside the vehicle. Other modifications are possible, including the flamboyant additions seen on some Japanese hearses. Some hearses are quite old vehicles that are starting to push classic status. Hearses don’t get driven every day and when they do, they’re usually given short, sedate drives. This means that they don’t see as much wear and tear as other commercial vehicles and last a lot longer. Some car enthusiasts, usually those with slight Goth tendencies, search out used hearses as their regular cars. There’s station wagons, there’s SUVs, there’s people movers. Then there’s the Dodge Journey/Fiat Freemont twins. A SUV look with people mover capability, station wagon style room and in R/T spec, rear seat DVD screen entertainment for (presumably) the kiddies. Punted along by a 206kW/342Nm 3.6L V6 engine alongside a six speed auto, there should be little to dislike. I “journeyed” to the Australian Alps and dragged the family along for the ride. It’s a good sized veehickle, with a 4.9m length, 1.7m height and 1.8 metre overall width encasing over 1.4m of shoulder room for the front and mid row seats; yes, it’s a seven seater (an option) body however the test car came fitted with five, allowing some useful cargo space at the rear.It’s a user friendly and family oriented device, with washable storage lockers in the floor behind the front seats (ideal for canned drinks), one in the seat itself under the passenger seat cushion and where the rear seats in the seven seater would be. There’s enough here to suit some finely chopped firewood…At the front is the aforementioned 3.6L engine. Although 342 Nm sounds reasonable, it has to haul around a kerb weight of over 1900 kilos and with two adults, tow kids, luggage, it doesn’t mind a drink. The 78 litre tank was drained at a best of around 9.5L per 100 kilometres and at worst, you’d be better off towing a fuel station behind you. With such a relatively low torque figure, through just six speeds and inside a vehicle that’s not exactly a lightweight, unfortunately consumption will be in the negative. If Mitsubishi can offer a seemingly miniscule 2.2L diesel with 360 Nm that kicks off from around 1500 revs (peak torque from the 3.6L is high at over 4300 revs), then surely there’d be something suitable within the Chrysler/Fiat family? The transmission itself was mostly smooth, however sometimes felt, at certain rev points, that it was being strangled, holding gear and refusing to shift up or down and extra engine work was required, plus there were some clunks and shunts, almost as if something wasn’t meshing properly. There were some instances of thrashing from the engine, almost as if the revs needed to overtake weren’t being fed properly to the transmission when the loud pedal was prodded loudly. The exterior is solid, bluff, squared off and looks somewhat masculine with the front bumper being pumped out at the corners, housing the driving lights and a integrated skid plate in the centre. The Dodge family grille bisects a squared off headlight cluster before leading into a not unattractive profile, wrapped in premium pearlescent paint, before finally finishing in a workmanlike if blocky looking rear, whilst rolling on “tuning fork” 19 inch alloys. Of note are the wide opening doors, with the second row opening up to 90 degrees and allowing superbly easy access and egress. On top was the optional sunroof, sadly not used during the cold weather however the R/T does get heated wing mirrors. The meaty and leather wrapped tiller is on a reach and rake adjustable column, and if it was heated as well, I couldn’t find the switch. All seats in the R/T are leathered up, with the second row adjustable for angle and and can be moved forward and aft as well. Vision from the driver’s pew (leather clad and heated, thank you kindly) is broad, obscured to the rear by the fold down DVD screen when in action. Perhaps rear seat passengers would be better suited with headrest screens as that’s a real safety issue. What isn’t an issue is the 8.4 inch navitainment touchscreen; it’s largely intuitive, controls most of the onboard functions and is linked, in the R/T’s case, to a thumping Alpine audio system with a decent depth and clarity. DVD playback is also visible when the car is in park however the controls didn’t seem to always work in conjunction with the disc menus. Set and forget aircon for the rear seats, LED lighting a another storage locker in the mid row centre fold down add value to the family package. The GPS system was also largely user friendly however the search parameters seem a bit arse about when dialling in an address. For the driver there’s a handy info screen, operated by steering wheel mounted buttons, with info such as fuel consumption, messages from the bluetooth linked phone and tyre pressure. That last one made a lot of difference as the front left seemed well under the other three. Going from 28 psi to 36psi helped the ride, especially with the load onboard. Having said that, with the usefulness of the rear under cover cargo space coming into play, on the Pacific Highway on NSW’s south coast, the rear did bottom out onto the bumpstops a few times thanks to the undulations. Under normal circumstances, the meaty rubber (225/55/19s) provided grip like superglue and it’s mostly neutral handling. Feedback through the tiller is reasonable but sometimes felt isolated from the road, feeling s omewhat numb on centre although loads up nicely offcentre. Noise from the tyres and wind was fairly muted, allowing good conversation levels and, for the kids, no need to ramp up the quite nice sounding headphones. Dive and squat were well controlled under heavy braking and hard acceleration plus body roll was minimal when tossed around. The brakes themselves lacked bite, however that could be more to do with the 2000kg plus load they needed to haul in. At $36500 (RRP + ORCs) for the R/T ($32500 for the SXT), you’ll get a three year/one hundred thousand kilometre warranty and service intervals at six monthly cycles. It’s extraordinarily good value with the DVD, plenty of room and trim levels, but let down, badly, by the “hole” in the fuel tank and the occasional indifference of the transmission. There’s no doubt in my mind that it’s a flexible, usable, family vehicle but one that could improve with the option of a low revving, torquey, diesel, a diet and a less restrained transmission. For pricing options, speak to your Dodge dealership, or contact Private Fleet and for video: http://www.youtube.com/watch?v=Q35Xrn_KahI&feature=youtu.be.